Friday Reader Q&A: Can I Get Back the Premiums I Pay for Life Insurance? Can I Get Back the Premiums I Pay for Life Insurance? A: Chris, thank you for your question. Considering that you have a family to protect, I am very glad to hear that you are looking into life insurance. As you may know already, I am very passionate about life insurance. 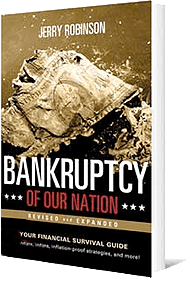 I view it not only as one of the best ways to protect your family against unforeseen circumstances, but also as a excellent forced savings vehicle. I will explain those benefits in a minute. First, let me get to your question about getting a refund on your life insurance premiums. Just as auto insurance or health insurance companies do not refund premiums, neither do life insurance companies refund premiums…that is, without a fee. Chris, life insurance is just like any insurance product out there; in exchange for your premium dollars, the insurer takes on considerable risks. However, there are at least two ways that I know of in which you can gain access to your premium dollars in the future. 1. Most insurance companies offer what is known as a "return of premium" rider. This rider can be added to your term policy and can allow you to receive a refund of your premiums if the insurance company does not pay a claim. Obviously, this rider will costs money. Simply ask your insurance agent about adding a "return of premium" rider to your policy. 2. While the return of premium rider may meet your needs, there is another option that I actually prefer. That is, whole life insurance. Whole life insurance offers a death benefit and a savings component. With each premium payment, your savings within the policy, referred to as "cash value", grows steadily with dividend or interest payments. Even better, the savings component grows tax-deferred and can be taken out tax-free in the form of a loan, in most instances. The mainstream media has vilified whole life insurance, as it represents an alternative place to park your cash (Wall Street does like competition!). This has caused consumers to ignore the unique benefits offered by whole life insurance. Obviously, since this type of life insurance policy builds cash value, the savings component can help in the event that you need cash down the road. While this is not a "refund", it does allow you to gain access to a portion of your premium payments in the future. Finally, I would warn you against taking financial advice from your friends about life insurance. While their intentions may be pure, it is unlikely that they have done enough research on the topic to give you an educated recommendation. That is why you should always speak with a trusted financial advisor before making a financial decision. I hope this information helps. Thanks for the great question. Are U.S. Politicians Ignorant of the Petrodollar System? A: V.F., thanks for the interesting question. I am glad to hear that our series on the Petrodollar System opened your eyes on how the foreign policy of our government truly works. Obviously, I can't know the minds of our politicians. I am sure that many of them understand the Petrodollar System intimately, but there are clearly many politicians who do not based on their pubic statements. I believe that America's politicians are predominantly operating in denial. They have learned how to pander to various segments of our population, and their only incentive is re-election. In other words, V.F., I believe that the majority of our political leaders would only care about the Petrodollar System if it could be aligned with their re-election efforts. The truth is that most politicians are economically ignorant. As such, I view them as more ignorant than malicious. Do You Have A Question for Jerry? Click here to send your question to Jerry. Jerry Robinson is an economist, published author, columnist, international conference speaker, and the editor of the financial website,FTMDaily.com. 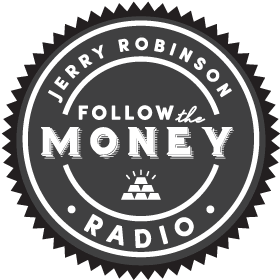 In addition, Robinson hosts a weekly radio program entitled Follow the Money Weekly, an hour long radio show dedicated to deciphering the week's economic news.